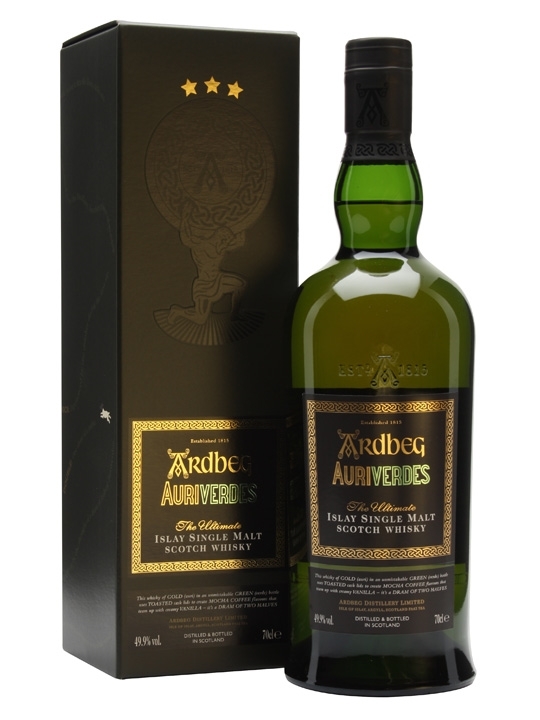 This is the 2014 Ardbeg Day release. Auri means Gold and Verdes means Green, and it symbolises the golden liquid in the green bottles, and of course the World Cup 2014 that was held in Brazil. Peat, light ashes and smoked meat in the smell. Dried fruits like dates and prunes in the background, but very subdued. Some sweet marzipan in the end. Caramel sweetness mixes with the peat in the taste. Ashes comes more forward. The BBQ is lit! Some light citrusy notes appears as well. Some dark burned brown sugar mixes with the peat in the finish. The citrusy notes are still there, but very subdued. Yet another Ardbeg that just “does the job”. If you like your Ardbegs, then this is no exception. Sweet, yet rich on other flavours, and the peat is a bit salty with an ashy touch, as it should be. I will give this 88/100 (22/22/22/22).